Baptists for Life has always striven to keep a finger on the pulse of pregnancy care centers and to help them in any way we can. Our goal is to establish and maintain PCCs as viable evangelistic outreaches. In addition to our annual Leadership Summits in July, we’ve used various formats to communicate with centers. In my capacity as editor, I’ve also served as a liaison with centers. Part of my daily task is sorting through reams of information that crosses my desk and desktop. I like to pass that information on whenever it’s relevant. In earlier days we published a quarterly newsletter for our associated centers . . . on paper, and sent it through the mail. Oh, how times have changed! We since graduated to an e-newsletter, the PCC List, which came out at least three times a week, and now we have a blog updated daily. The PCC List blog is a repository of information aimed at directors with all their varied tasks and constituencies in mind – staff and board members, volunteers, clients, donors, churches, the media, and the community-at-large. As I research information and resources for Baptists for Life, I keep the needs of pastors in mind as well. BFL’s mission is to “help the Body of Christ articulate the biblical pro-life message in word and deed.” We work closely with churches and pastors. Toward that effort, we’ve developed the Pro-Life Pastor’s Corner blog as a storehouse of news and inspirational items with them in mind. Much of my day as editor for Baptists for Life involves keeping up with various news sources – pro-life and otherwise. I don’t like it to just stop with me, but to go on to others who also might use it. There’s so much going on and so many helpful resources out there! I know it’s hard to sort through it all. Some of it winds up as a post on the LIFT List blog. This blog is aimed at people who care for the disabled and the chronically or terminally ill. Topics include: euthanasia, assisted suicide, brain death, disability, dementia, rationing, hospice, and more. 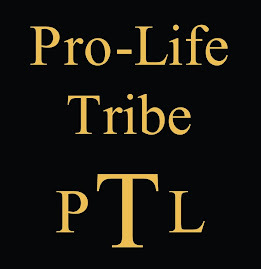 We also provide links to resources from BFL and other pro-life ministries and services. A day in the life of a pregnancy care center. . . revolves around real people. If there wasn’t a PCC in Lexington, Kentucky, and if that center didn’t offer ultrasound, we would never have “met” Devon. Devon’s mom never wanted to have an abortion, but circumstances led her to think it was her only choice. Confused and uncertain, she wondered if she could live with herself afterwards. Seven weeks pregnant when she visited the PCC, they offered her an ultrasound. When she saw her baby’s heart beating, he became real to her. She knew he deserved “his shot at life,” and says today, “It was very obvious that I had all the support that I needed. It is now two years later and I have a beautiful baby boy! He is 16 months old and the love of my life! . . . I could go on and on about how wonderful he is! I couldn’t be more blessed! I couldn’t imagine my life without him"
Devon is just one of the countless babies saved year after year in pregnancy care centers. Will you pray, serve, give? I’ve always loved asking questions. My kids hate that about me. Year after year at back to school nights they’d dive under their desks at the teacher’s familiar invitation “Does anyone have any questions?” I always did. Now that I’m hosting a pro-life TV talk show I get to ask them every day. Most of the Saturdays of our show tapings begin with me going over a few facts with the guests, waiting patiently for the mikes to be clipped on and praying silently that God’s message will be brought out in the interview. He never fails me! From celebrities to retired folk, we have been blessed with men women and children who have shared their joys, triumphs and heartaches in the hopes that someone else may be helped and God will use their story for good. It would be so hard to pick a favorite, but I can’t help remembering the children. Little Hannah, the “Snowflake Baby” who looked bravely at our camera and proclaimed “Please let us live.” David, the Broadway star of “Cats” who shared his personal story of two aborted children. Jill Stanek, the nurse who witnessed a Christian hospital doing early labor abortions and refusing to stop. Some of these guests gave me what I like to call “goose-bumpy” moments. Like the time I asked Jill what she’d like to say this minute to a nurse that’s on her way to work in a place doing abortions. The room fell silent as she looked directly at the camera and said “Don’t do it. Don’t go. Say SOMETHING…today.” I have a feeling somebody out there did. So how many people watch our show and how many lives have been saved? Only God knows. We will never fully know the impact of our show while on this earth, and we’re okay with that. In the meantime, we’ll keep searching for those heartfelt stories of God’s redeeming grace and forgiveness and more ways to share hope for choosing life!